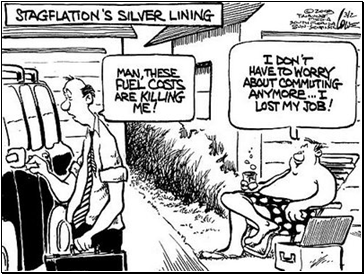 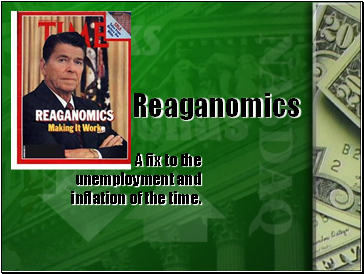 A fix to the unemployment and inflation of the time. 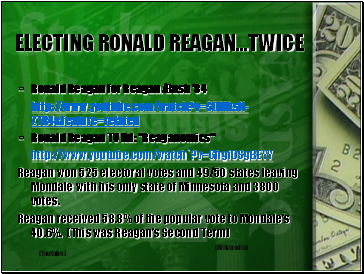 Ronald Reagan TV Ad: "Reaganomics"
Reagan won 525 electoral votes and 49/50 states leaving Mondale with his only state of Minnesota and 3800 votes. 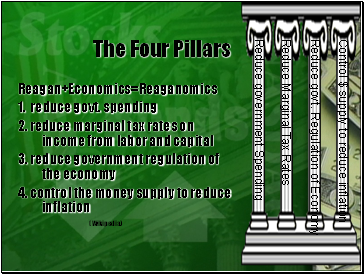 -Political pressure results in expansion of money supply. 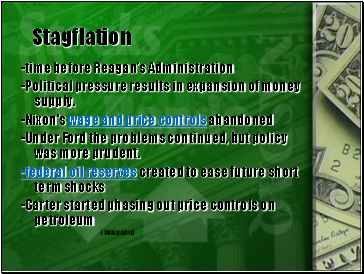 -Under Ford the problems continued, but policy was more prudent. 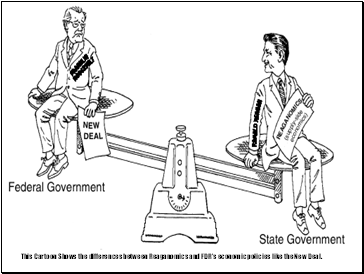 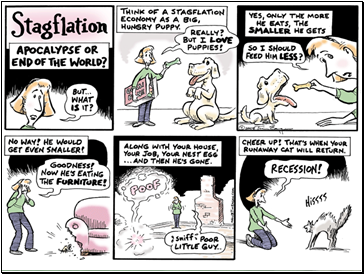 This Cartoon Shows the differences between Reaganomics and FDR’s economic policies like the New Deal. 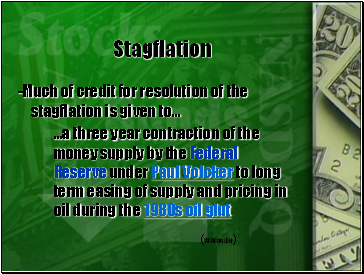 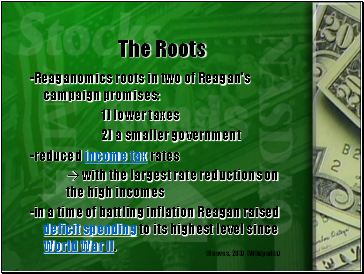 -in a time of battling inflation Reagan raised deficit spending to its highest level since World War II.